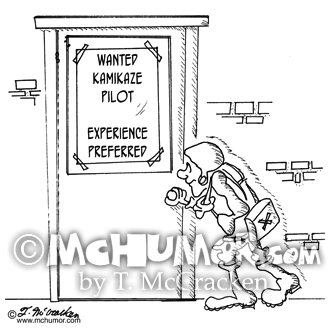 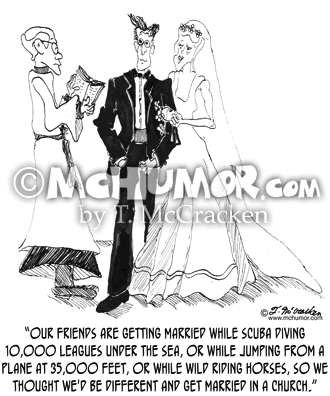 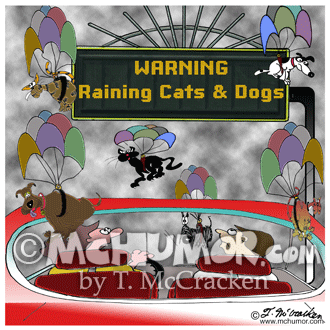 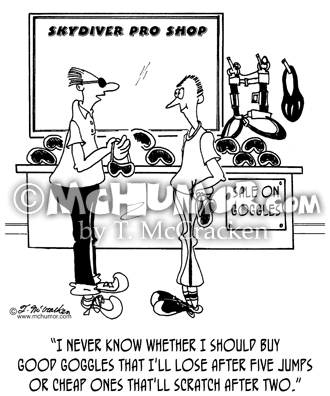 Parachuting Cartoon 4870: A man saying in a skydiver pro shop having a Sale On Goggles, "I never know whether I should buy good goggles that I'll lose after five jumps or cheap ones that'll scratch after two." 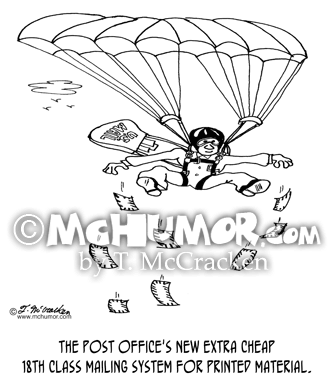 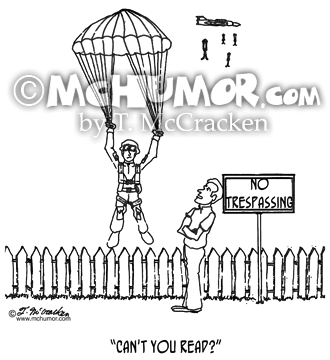 Parachute Cartoon 6116: A parachutist who's fallen through someone's ceiling saying to the distressed owner, "Just use some extra strength Spackle." 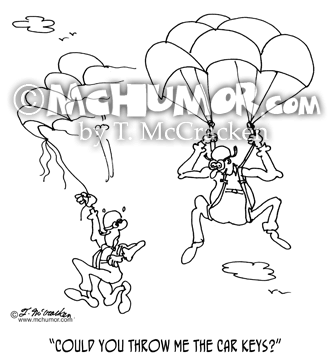 Parachuting Cartoon 5186: Someone shouting to another whose parachute has failed to open, "Could you throw me the car keys?" 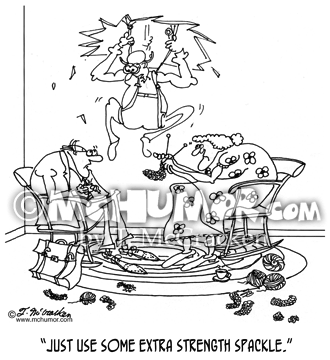 Cattle Cartoon 7924: A cattleman watching a man feed cows says to another. 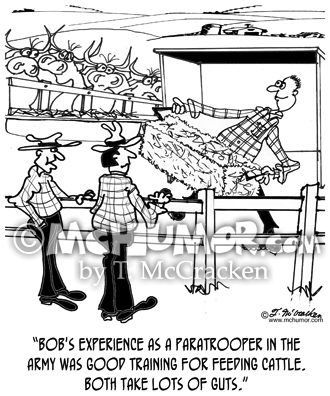 "His experience as a para trooper in the army was good training for feeding cattle. 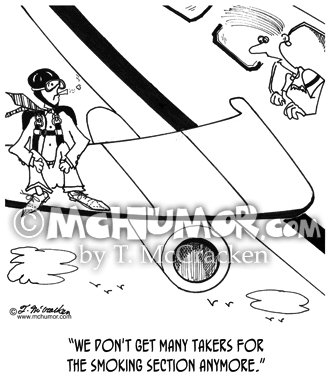 Both take lots of guts." 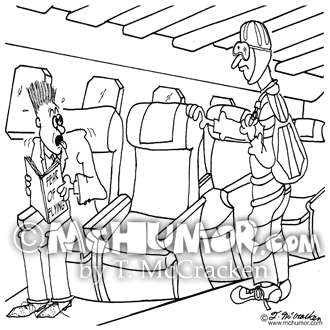 Phobia Cartoon 4857: Someone boards a plane in a parachuting outfit, helmet and all and sits next to a terrified passenger reading Fear of Flying.